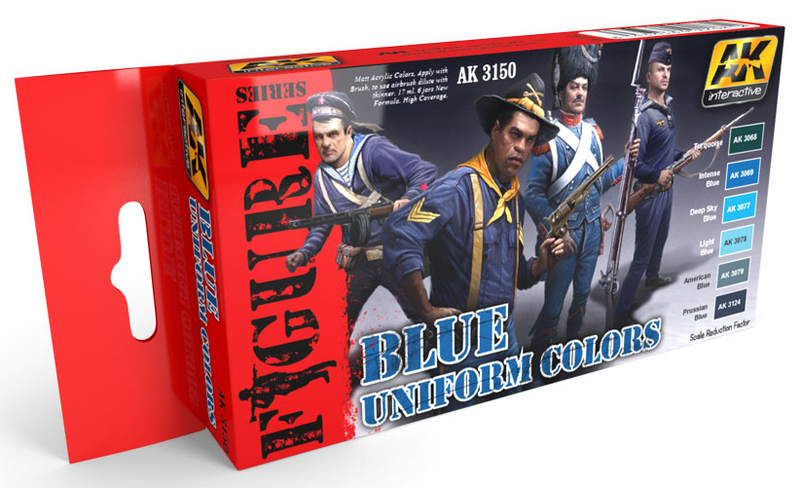 The Modelling News: Want your uniforms colour matched & “washable?” AK Interactive has that sorted for you in their October releases. 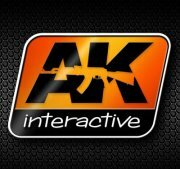 Want your uniforms colour matched & “washable?” AK Interactive has that sorted for you in their October releases. 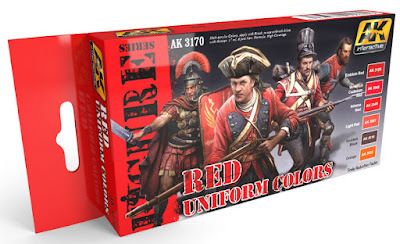 This set is specially formulated for the decoration of figures with uniforms, clothes or garments in any shade of red. The set is made up of six jars with different tones of red, so that either individually or mixed together, you can decorate your figures with any red parts. Perfect balance between fusion of colours, opacity and intensity. The widest range of special acrylic paints for uniforms and figures of any era. Exclusive formula strictly tested under all conditions by the best modellers. Pigments of the highest quality necessary for the treatment of figures like pieces of art specifications. Resistant to light and with better lasting power for figures to scale once painted. 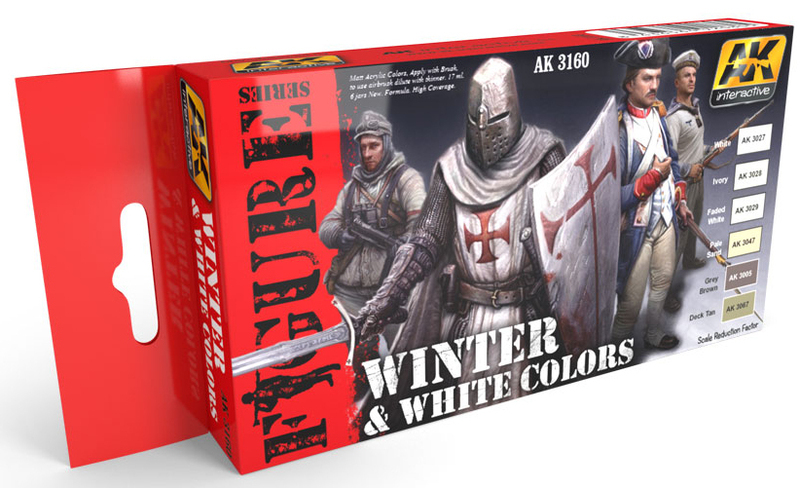 This set is specially formulated for the decoration of figures with uniforms, clothes or garments in white and winter white uniforms of any army and period. The set is made up of six jars with different tones of white and two colours for the shadows, so either individually or mixed together, you can decorate your figures with any white parts. This set is specially formulated for the decoration of figures with uniforms, clothes or garments in any shade of blue. The set is made up of six jars with different tones of blue, so that either individually or mixed together, you can decorate your figures with any blue parts. 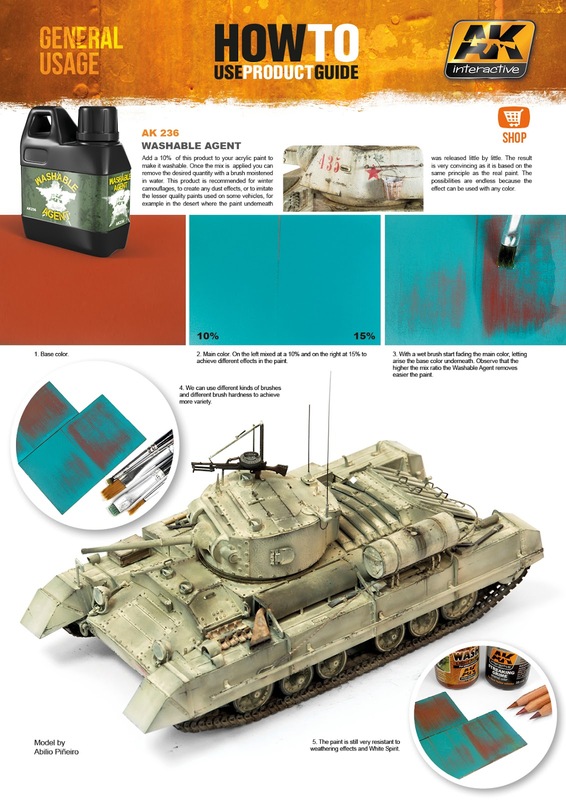 AK hits back with this SUPER special product which CONVERTS any acrylic paint into washable, just think of the effects that can be achieved on any kind of scale models. 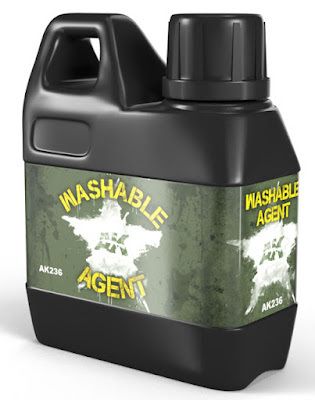 Add a 10% of this product to your acrylic paint to make it washable. Once the mix is applied you can remove the desired quantity with a brush moistened in water. 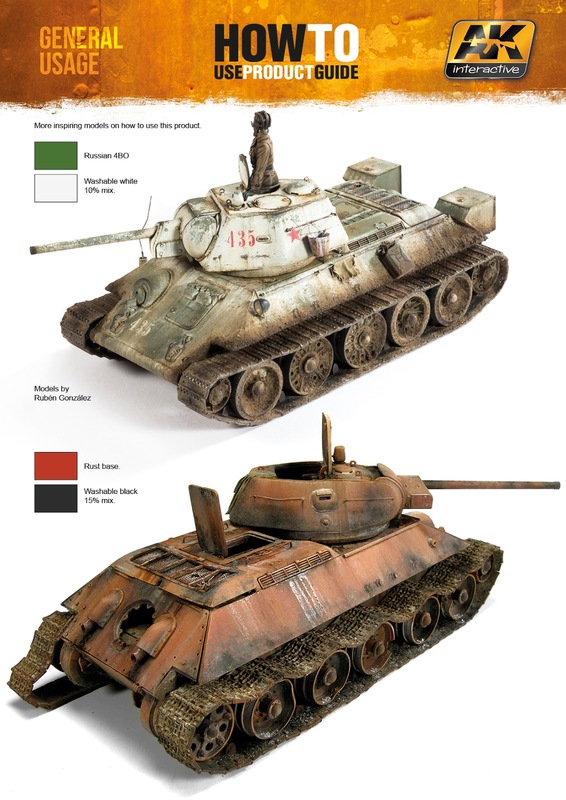 This product is recommended for winter camouflages, to create any dust effects, or to imitate the lesser quality paints used on some vehicles, for example in the desert where the paint underneath was released little by little. The result is very convincing as it is based on the same principle as the real paint. The possibilities are endless because the effect can be used with any colour.